Visitors become fellow adventurers and familiar neighbors in Waynesboro, VA, where sharing the remarkable surroundings and good-natured local spirit has come naturally for centuries. 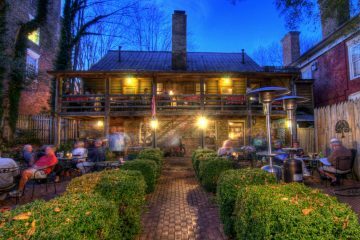 Located at the gateway to the Blue Ridge Parkway, Skyline Drive, Shenandoah National Park and the Appalachian Trail, Waynesboro has a long tradition of warm welcomes and rich cultural amenities to offer travelers. Designated an Appalachian Trail Community, and with the South River running right through its town center, Waynesboro’s convenient location is just the beginning of its enduring charm. 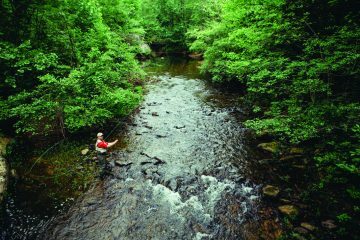 From its Civil War history to its incredible fly fishing opportunities, visitors will find plenty to do. 1. 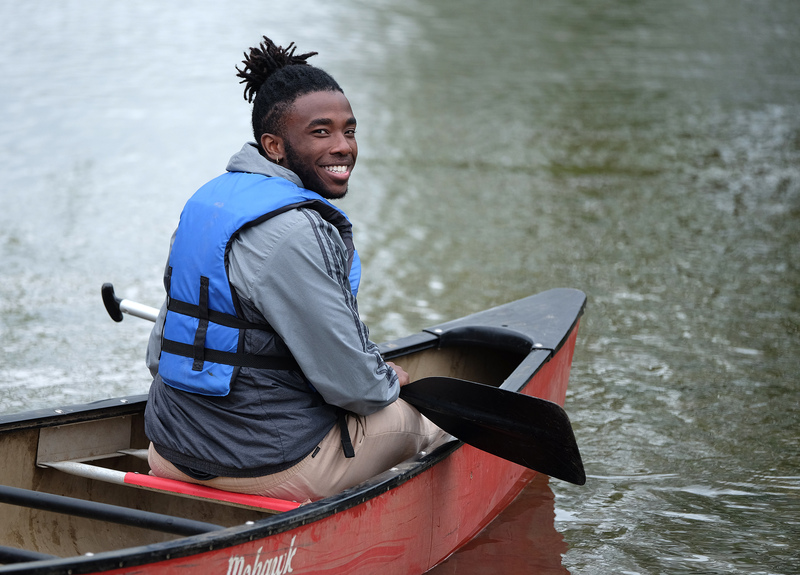 Paddle the Waynesboro Water Trail, a gentle four-mile stretch of the South River that winds right through downtown. 2. Hike the Appalachian Trail at the easy-to-access Rockfish Gap, just four miles from Waynesboro. 3. Ascend Humpback Rocks, one of the area’s most popular hikes, and earn a payoff view of the Shenandoah Valley. 4. Stroll the Greenway, a flat, paved path for walkers and cyclists along the South River and just a stone’s throw from downtown. 5. 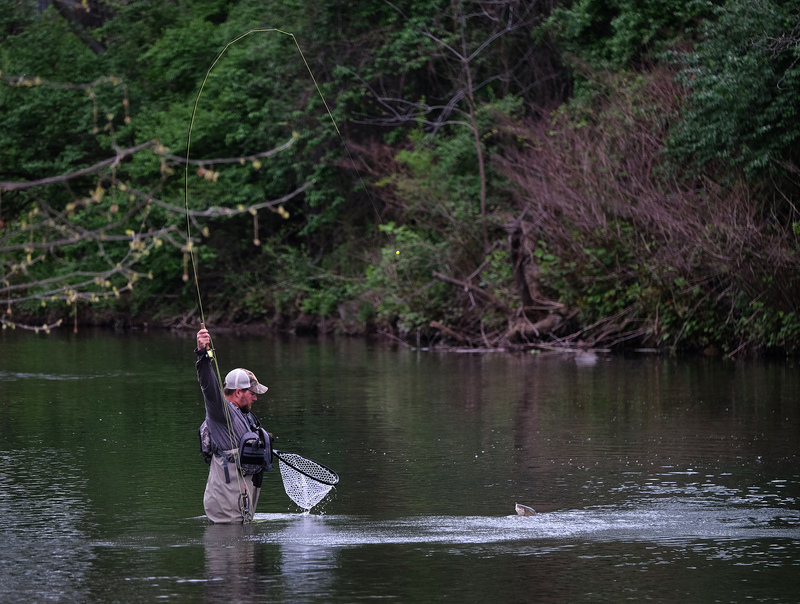 Fly fish the South River for trophy-sized trout and find out why it attracts anglers from all over the country. 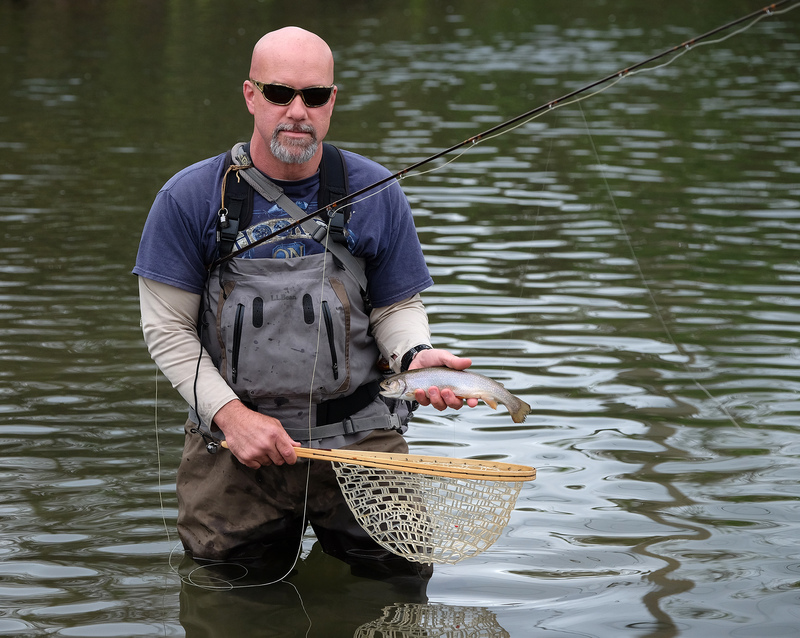 Fly fishing festival, in Waynesboro, Va. Saturday Apri. 23, 2015. (Photo by Norm Shafer). 1. Catch a show at the Wayne Theatre, Waynesboro’s historic vaudeville-era theater that is now a state-of-the-art performance venue. The Wayne captures national acts like Robin and Linda Williams, the Glenn Miller Orchestra, Wilson Fairchild, and even America’s Got Talent performers. Waynesboro Fall Foliage Art show and festival, Sunday Oct. 9, 2016. (Photo by Norm Shafer). 2. 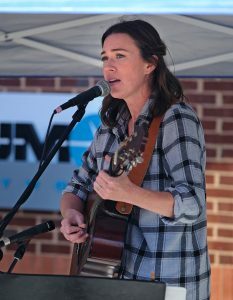 Experience crowd-pleasing festivals, such as the Fall Foliage Art Show, drawing hundreds of diverse artists, or the Virginia Chili, Blues n’ Brews Festival, highlighting the region’s best chili and blues music. 3. Kick back on a picnic blanket at one of the many outdoor concerts performed throughout the summer. 4. Tour the impressive art galleries of Shenandoah Valley Art Center and the P. Buckley Moss Gallery, both showcasing local talent. 1. Basic City Beer Co occupies part of Waynesboro’s old brass foundry and serves up cold draft beer and live music. Grab a bite at an onsite food truck and kick back in the outdoor dining or hammock area. 2. Seven Arrows Brewing takes its inspiration from a Native American blessing. Its crafted beers pair perfectly with the menu of Nobos, a newly opened restaurant right in the brewery. 3. Stable Craft Brewing is housed on a working horse farm. Visitors can pet the horses, inspect the homegrown hops, or relax on the patio with any of the delicious brews and food made in-house. 4. Discover 10 more nearby breweries on the Shenandoah Beerwerks Trail. The natural beauty of the Blue Ridge melds with the art and culture of a thriving community. You’ve found your perfect destination: Waynesboro, Where Good Nature Comes Naturally! Previous ArticleBird Calls? There’s an app for that.